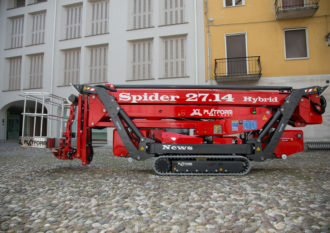 The Spider 33.15 is an Industry-leading compact tracked chassis access platform. 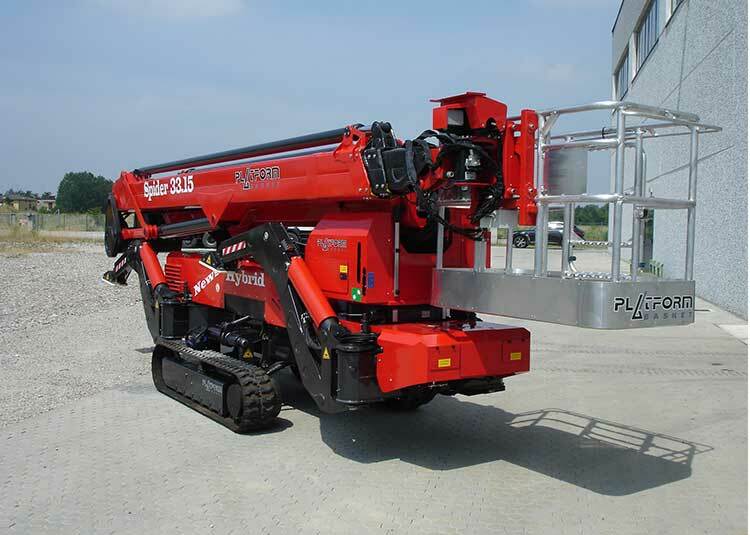 This huge spiderlift access platform features the very latest user-friendly operating features. 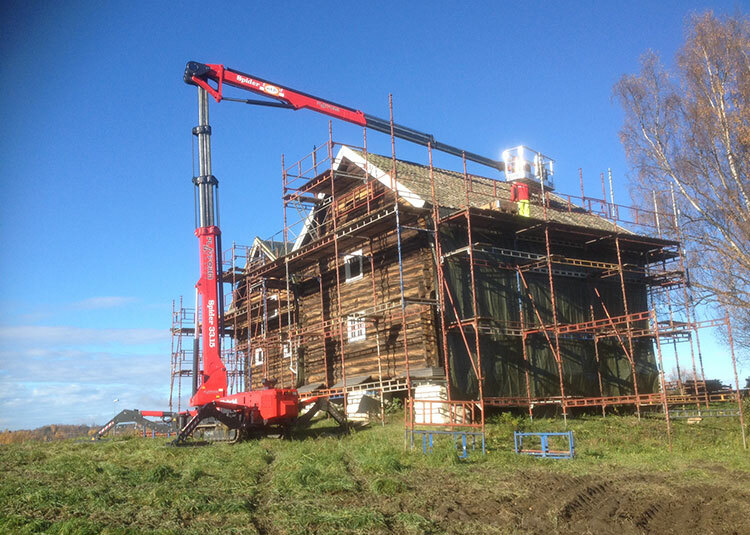 With a unique telescopic lower and upper boom arrangement, this machine provides a massive up-and-over working envelope. It is this unique boom design which makes operation both smooth and stable, with no cage rotation limitations. The cranked outrigger design coupled with the very robust and strong build quality make our machine an industry leader. 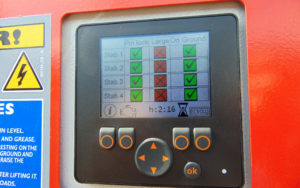 Dual power options incorporating the latest hybrid technology make site access quick and easy. The multi-position stabilisers are perfect for internal and external works including poor terrain. This is due to the extreme ground clearance and longer track base which provides greater stability and lower ground pressure. 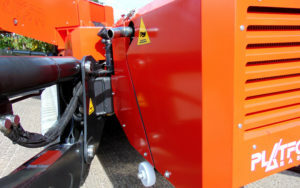 This is one of our larger and most robust machines, with exposed parts securely protected by tough metal guards. 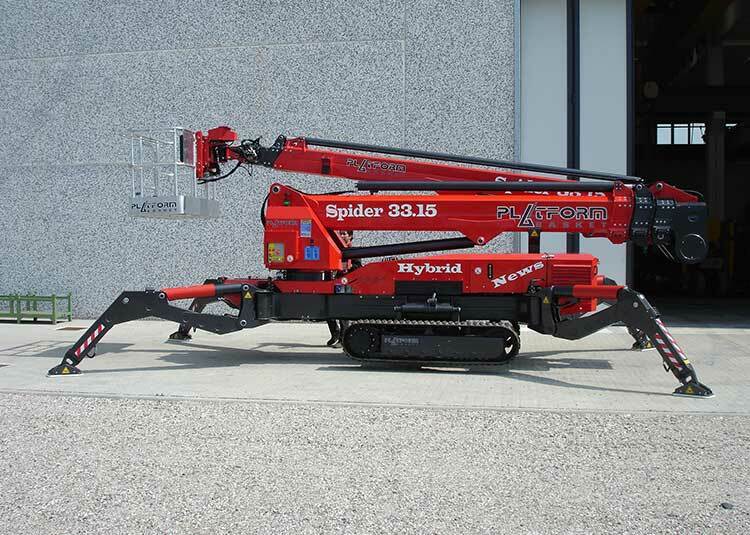 For the operator, the Spider 33.15 can be safely and conveniently manoeuvred at a distance using the radio control system. Its unique graphical display and on-board diagnostic system as well as a 230KG cage capacity make this platform useful for many applications. The versatile Spider 33.15 uses not only cage controls but also ground for ease of use. Therefore giving the user total control. The Spider 33.15 has a low ground pressure because of its longer track, consequently this prevents damage to any delicate flooring. High quality components and also the steel construction ensures our machines are light weight and yet still reliable and durable. 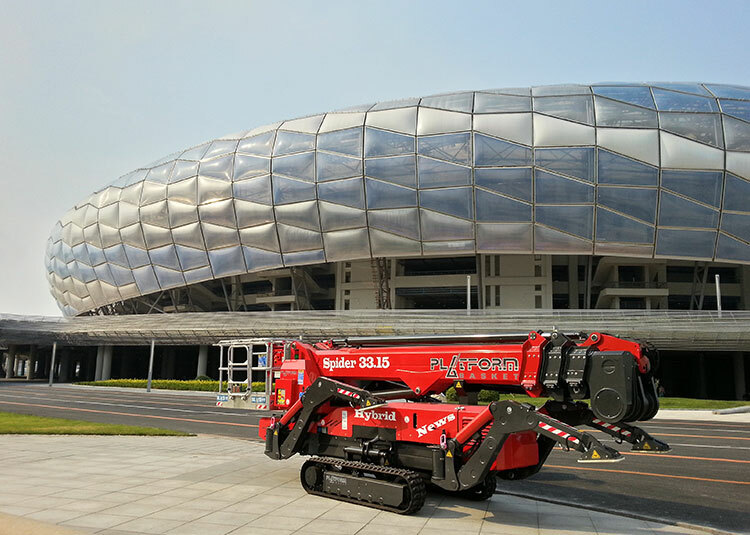 The Spider 33.15 has a huge working envelope due to its size when in operation. This is one of our largest spiderlift access platforms. 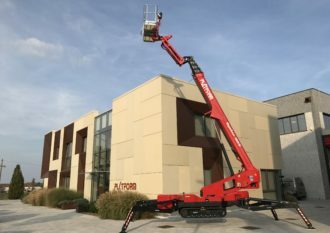 The onboard diagnostics and also our unique user graphical display ensures this spiderlift access platform is simple to operate. We guarantee both high-durability and high-performance due to our premium engines with the latest hybrid technology. 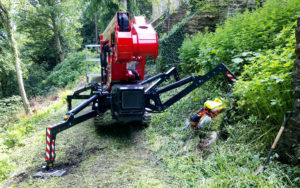 No rotation restrictions and the ability to set up on poor uneven terrain are features of this machine due to the the multi-position outriggers. You never know what type of terrain you’re going to encounter when visiting a new power line, thankfully i don’t have to worry about that anymore now i’ve got the Spider 33.15 to help me out, i’m yet to find uneven ground that my machine cant handle.